beautiful delicate and spread by ants! Trillium is one of many plants whose seeds are spread by ants. At maturity, the base and core of the trillium ovary turns soft and spongy. Trillium seeds have a fleshy organ called an elaiosome that attracts ants. The ants extract the seeds from the decaying ovary and take them to their nest, where they eat the elaiosomes and put the seeds in their garbage, where they germinate in a rich growing medium. 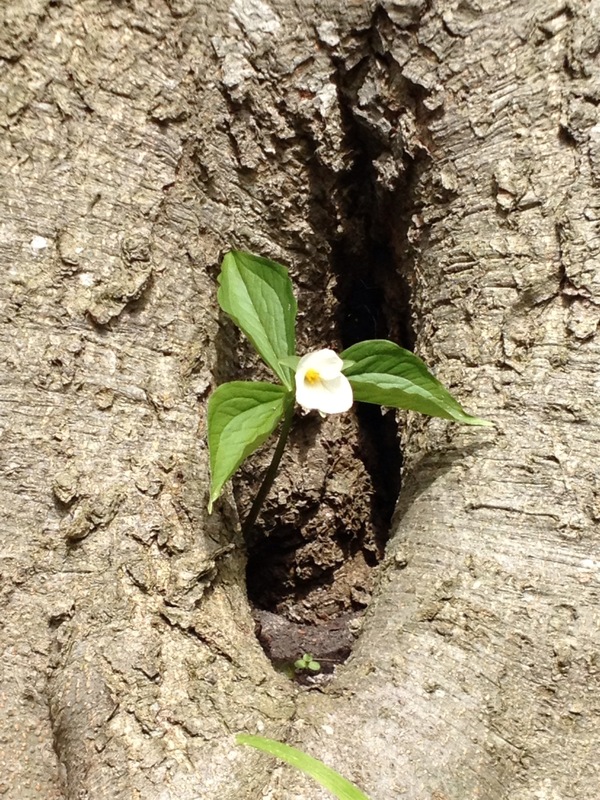 A white trillium serves as the emblem and official flower of the Canadian province of Ontario. It is an official symbol of the Government of Ontario. The large white trillium is the official wildflower of Ohio.